This interview came about for a variety of reasons, and one of them was, although I seem to write books in which existing narratives get woven into other, often precariously related narratives, I don’t always understand how that weaving works. And Brigid is an ideal interlocutor. Not only is she a friend, she’s also an insightful and careful reader. Also the founder of A Public Space, a journal of art and writing that nurtures imaginative and international and not-quite-mainstream voices. She’s edited a number of my essays and stories—about Charles Laughton, George Trow, the Berlin Wall, and the movie DOA—and her notes on the early drafts of The Complete Ballet were crucial to its becoming what it became. Our interview took place a few weeks before its September publication, and although we were often distracted by the physical and temporal displacements of internet communication, because of our mutual respect we persevered, trying, as always, to come to a provisional understanding. Brigid Hughes: The subtitle of your book is A Fictional Essay in Five Acts. The question of genre is one that comes up frequently with your work. It’s been described as hybrid, genre-blurring, an essay in the Believer proposed classifying your writing as lyric essay rather than fiction. How do you think about your writing in terms of those descriptions? Is it important to you to think of your writing as fiction? John Haskell: I go back and forth with the idea of fiction. Sometimes I’m bored by the concept of making up stories. Because so many stories already exist. Plus, we’re told to write what we know, so any fiction is really just reality, slightly disguised, and mostly that reality is the same reality we’ve already heard a thousand times. The reality of my life is not that interesting, and it seems presumptuous to assume that anyone would be interested in my dreams. So what is my choice? When I say presumptuous I’m thinking of Marianne Moore, a very shy woman, who wrote about animals because she could embed herself in the lives of the animals, not disguising her own life but using it to tell the story behind the life. That’s the kind of writing I’m interested in, not disguising real life, but showing what’s actually happening, showing the actual writer wrestling with actual questions, not about addiction or abuse or some interesting fact about who he or she might be, but instead telling a larger story, which is part of . . . And I don’t know what it’s part of but it contains more meaning than the meaning of a person. Basically I’m against personhood. The old idea of an artist who sees what others cannot, who experiences what other haven’t, seems outdated. As you can tell I’m wrestling with this question, which is the question of authority and exhibitionism, and I’m drawn to the possibilities of fiction but, and there’s always a but, I’m wary of it’s limitations. BH: Would it be accurate to say it is also a question the narrator is wrestling with in this book? JH: Thank you for saving me from my wayward digression. Yes. 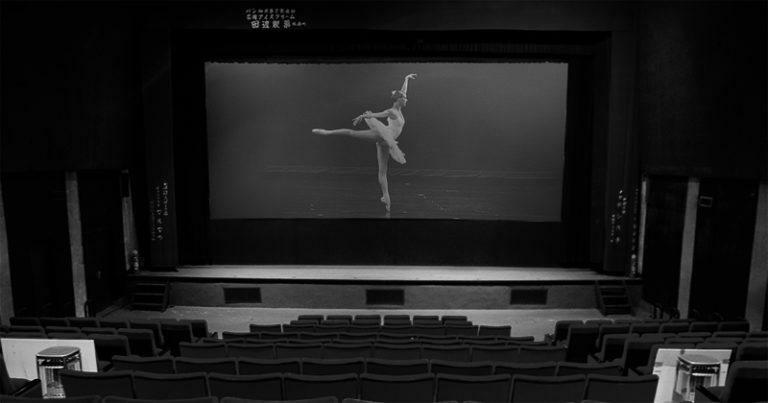 In The Complete Ballet the narrator is trying to find a way to be in the world. How do we know what to be? What does it mean to be something? How can we change our life? And by change I mean finding a life that is more satisfying, more fulfilling, and whether it’s discordant or harmonious it’s not a fiction. A kind of spiritual understanding probably exists, I hope it does, and sometimes it’s called nature, used to be called god, and fiction, because it’s not rooted in the real allows me—and I’ll use the first person here although I’m hesitant because I don’t feel that I actually exist—to wrestle with those questions. Even now, in this interview, I seem to exist but who am I? I certainly don’t have any answers. My own book feels at times like a thing that’s come out of me, and its foreign, even to me. Here’s a quote from something I’m working on now. The problem with fiction is, what happens never happened. And with nonfiction, because what happened is real, it can’t happen any other way. And because I think there’s a place between the two, neither fiction nor fact, I’m drawn to movies. Movies are a fiction, but when I look at them I’m looking at the reality of them, so that events in movies are a kind of reality but removed from reality, and I like my fiction like that. And my nonfiction too. I like work that, if it needs to, transcends the boundaries of genre. BH: I’m curious what was the starting point for the book. Was it one of the five ballets that are reenacted in the book? Did you always know Cassavetes would be interwoven with the ballets? JH: The book began a long time ago. The idea of people dancing their stories. How weird, and how beautiful. So I started investigating ballets, mainly the narratives, the fantastic stories of the Romantic ballets especially, all the passion and love and death, and then as I got to know them I also got to know some of the sidebar stories. I’d known about Joseph Cornell, the artist and balletomane, because I’d wanted to write something about him for a long time. Very interesting figure. Lived with his mother. Made art unlike other art being made, and some of his boxes inspired me. The ethereal quality he idealized. And then there was Balanchine. I’d seen his dances and heard about his life, a life of protean creativity, but he was also strange in a way, marrying younger and younger ballerinas, younger than he was, and who was he? And who was Cornell? And who was Giselle and Odette, and the ballets just started to grow, their stories popping up like mushrooms after a rain. And like mushrooms, they had an underground life before I came to them, and once I came to them and assembled them the stories started brewing. I’d been writing about movies, trying to live through movies, literally living vicariously but also trying to penetrate into the deeper levels of who the people in the movies were, and I love Cassavetes, admire him I guess, for making his art by expressing what he felt as deeply as he felt it, expressing the realness and the rawness and especially the honestly. For me honesty is the most important part of his art or any art. I’ve never quite said that but I believe it. Honesty is what’s lacking in most of what passes for art, certainly entertainment, and because Cassavetes was a role model I wrote about one of his movies, The Killing of a Chinese Bookie. But I could never get it quite right. I could never find where “I” fit in the story because the story was complete in itself, and this is a case of rewriting and rewriting and not being satisfied and so rewriting and failing and then stumbling on a way into the movie, a way to be the narrator of my own life, a way to live my life in this movie, and the ballets that were brewing were ready, I guess, but the idea of juxtaposing Cassavetes and ballet . . . I thought, oh no, these two things are totally incompatible. But wait, maybe not. And when I put them together they melted together, or so it seemed to me, not into unison but into a kind of harmony. BH: It was the rewriting and stumbling, then, more than the starting point, that was crucial to the book. JH: A starting point is just that, a beginning. Editing transforms that over time, and the process of editing resembles what I’m trying to write about: the mind at work. If I write something down, it might be good or not, but in going over it again and again, changing and re-changing, it becomes like a natural process, like mountains being built then eroded then built again, and if I’m lucky I’m able to come to a relationship with the writing in which I cease to exist. The writing takes over, not via inspiration but via some unknown and uncontrollable process, a trudging through the words until the words lose meaning, and then, after a while, occasionally, find their own meaning, and that meaning, which is out of my control is what I’m trying to control. As if I’ve become a partner with myself in the telling of a story. And if all this sounds idealistic, it is. Which gets me thinking about humor. It seem essential to life and also in writing. It reduces the importance of the writer’s personality, the writer’s idea of self. And by humor I don’t mean jokes. I mean it’s all a joke, the world a place of death that we take so seriously because we’re the ones who are going to die but that’s what we’re doing here, the whole time, dying. And to see that as funny is a necessity. BH: You were involved in theater and studied, I believe, with David Mamet. How has that background influenced your writing? JH: Yes. When I was out of college I went to study with Mamet, or tried to. I became a playwright for a theater company in Chicago. A playwright and actor, and more than Mamet I think it was Harold Pinter, a writer I read as a reader, as an actor, and as a person looking for a way to speak. I found myself just wanting to read his words aloud. They were fun to say, and fun to feel the person who was saying them, and the meaning was dark but the plays were just that, play. Which is what the writing was when I finally yoked together the various aspects of The Complete Ballet. BH: You wrote elsewhere that: “The notion of a self, a solid identity we can know and trust and be deceived by, is reassuring.” You start playing with that notion of a self from the very beginning—even, I think, in the book’s title? Is the title a nod to Arnold Haskell? JH: The books begins with the ballet, with ballet characters living their lives, and also with with characters in movies. So a constellation of preexisting selves exist and the narrator is part of that constellation, and to him, his story is important because he’s inside his story but these other stories let him see the complete story, but he can’t because that’s impossible, hence the title. The book by Arnold Haskell, the man who coined the term balletomania, or said he did, came later. The fact that he wrote about ballet is random, but sometimes randomness fits. Haskell, aside from sharing my name, was a man who loved ballet, and saw in ballet a form of life that he thought worth looking at, and even though he wasn’t a dancer, worth living. BH: You mentioned Cassavetes as a role model. You’ve also written about George Trow being a role model for you, that when “I was trying to be a writer. . . I wanted to learn from him, and by that I mean how to think like him.” What about others? JH: Well, George was a great stylist because he was able to unleash his mind, let his mind go wild, go where it would, and he let it go and then followed where it went. I find that aspect of his writing again, to go back to that word, honest. I would be remiss not to mention Milan Kundera, who was able to yoke together those two opposing forces, fiction and nonfiction, and although he’s out of favor at the moment, I read him when I was beginning to write what would be called fiction. And Joan Didion. And Samuel Beckett. They seemed to write nonfiction texts in the same way dreams are nonfiction. And Flann O’Brian, another Irishman who made his words, however depressing they might seem, a joy. BH: Do you have a favorite sentence in this book? JH: I did a reading recently from the book and, full of hubris, I asked the audience to pick a page and I would read from that page. Someone yelled out a number and I opened the book, and I say hubris because I thought every sentence I wrote would be the ideal sentence to begin with but every sentence followed from the sentence before. Like one long sentence. BH: The unnamed narrator, in addition to writing about ballet, plays various roles—or assumes various identities—among them: acting student (“They told me my acting wasn’t real. And of course it wasn’t real. It’s acting.”); masseur; he works as a telephone-answering service in Hollywood. The narrator’s story is also the story of being a father. How does that role connect with the ballets and the films that are explored in the book? What interested you about the role of father? JH: Well, I could say it’s about identity, another identity, but it’s more about love. I’m a little tired at the moment of romantic love, but a father’s love, a love I know, although I don’t want to exploit it, I have to exploit anything I have, and the hero in a Romantic Ballet story is always a girl, always young, always in love, and the tragedy that befalls Odette and Giselle, and even Petrushka, who’s a boy, is a tragedy I worry about. Like Oedipus worried about the oracle of the blind seer, thinking up ways to avoid the inevitable, I don’t want to die, but I will, and at some point I’ll be separated from my daughter. That, as they say, is part of the territory. And yes, I was an actor, and I failed at that but I loved it. And I was never a failed masseur but I love to know about the body. BH: The fictional essays that comprise the book are in part meditations on the body. The narrator returns often to the ways a dancer expresses human emotion: “the flowing lines of a dancer’s body are perfect for joy. Also hope and longing. Anger on the other hand, and more complicated emotions like disappointment and regret, they’re expressed in ballet with pantomime.” You mention your interest in knowing about the body. Could you say more about this? And what about emotion. Would you say there is an emotion that is central to this book? Does anger interest you as an emotion? JH: It seems to me there are two basic styles of writing. There’s the Dostoyevsky approach, full of emotion, and there’s the Tolstoy approach, also full of emotion but submerged emotion. For better or worse I find myself following Dostoyevsky. And maybe the body is partly to blame. Although the mind makes sense of intense emotion, or tries to, it’s the body’s unmediated relationship with the world that starts the process. In my mediocre yoga practice I sometimes notice forces in the body, running through the bones and muscles and so I’ve taken an interest in bones, and the book has a section about the narrator giving a massage to a person, trying to alleviate the pain of this person but instead aggravating that pain and causing new pain and more pain and he’s trying to do his best but the body is mysterious. The narrator, for all his erudite musings on existence, is a bit of an idiot. Oh, and anger. That certainly exists. BH: How much of you, John Haskell, is in the narrator? JH: Everything, to the extent that all the thoughts of the narrator, all the desires, all the confusion, the feeling of helplessness and hopelessness, of loss and joy, are mine. Yes, I was an actor, failed I suppose, and yes, the narrator is a masseur and a failed actor . . . (one sec! I’m keeping my daughter occupied with videos, which I don’t normally do, but . . . ) And the narrator is a father as well, so yes, the narrator is me. But in that way that I spoke about in the beginning. He’s not wearing a disguise, because he doesn’t have to, because he’s not me. The old “write what you know” advice only makes sense for me because what I know, or what I care about really, is what happens inside a person, what they call the inner life, the life of the body and the mind, and the life of thought. Thought is what I like to read. It’s why I like George Trow. Not for his philosophy, but for his mind, soaring and gliding and working and fumbling, and lately I’ve been listening to a lot of Bach and it seems that music . . . well, getting into the confluence of music and writing might take a long time. My daughter is already on her third Angelina Ballerina video. Maybe that’s enough?